Consulting Engineers South Africa (CESA) applauds the appointment of Department of Public Enterprises Director-General Tshediso Matona, as the Chief Executive of Eskom. “We believe that Matona brings with him fresh ideas to resuscitate the ailing State power utility and we are confident that he will come up with fresh new strategies to navigate Eskom out of power outages and load shedding that has become the norm. 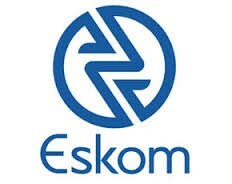 Eskom requires both the financial and technical vigilance to maneuver itself out of the operational deficiencies and dire financial position exacerbated by lower tariffs approved by the National Energy Regulator of South Africa (Nersa).CESA member firms are ready to work with Matona as trusted advisors and partners,” proclaims CESA CEO Lefadi Makibinyane. 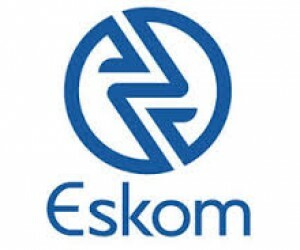 Matona has been directly involved in providing oversight to Eskom and the other State-Owned Companies in the Department's portfolio for the past three years. Prior to that, Matona was the Director-General for the Department of Trade and Industry (dti) for five years. At his time at the dti he was responsible for the oversight of the Industrial Development Corporation of South Africa, the Export Credit Insurance Corporation of South Africa, and the National Empowerment Fund to mention but a few, highlighting his experience of Financial Market dynamics. In recent months he has played a key role in the Inter-departmental Task Team comprising the Departments of Public Enterprises, Energy and National Treasury which have been working with Eskom and Nersa to formulate a solution to the immediate challenges facing Eskom. The Task Team should present its report to Cabinet by September. Makibinyane adds that it can therefore be concluded that the Minister of Public Enterprises Lynne Brown has indeed made the best of appointment for CEO of Eskom as she recently promised at the New Age Business Briefing Morning Live Show event at the Hyatt Hotel which CESA attended. He cut his teeth in Government as a trade negotiator in Geneva at the World Trade Organisation. Matona has also been at the centre of Government policy-planning and has led the implementation of its major strategic programmes, in the fields of International Trade, Industrial Development and Investment Facilitation, Enterprise Development, Economic Regulation, Broad-based Black Economic Empowerment and Infrastructure Development. Matona holds a Master’s Degree in Development Economics from the University of East Anglia (UK, 1994), a Bachelor/Honours degree in Economics and Political Science from the University of Cape Town (1992). Since then he has completed various certificates including Executive Management (2005) and Infrastructure Development (2011) from Harvard University's Kennedy School of Government (USA).